Are you effectively communicating what your brand stands for and marketing it to the right people? Do you want to build a fan base comprised of consumers who love what you do, and want to buy products featuring your art? Do you want to develop a social media presence, but are unsure of what platforms to use and the ongoing maintenance of the sites? With the world of marketing changing each day, knowing how best to market to your audience – be it manufacturers or end-use consumers – can be confusing, at best! However, to develop any sort of successful company, marketing what you do is critically important. We do not live in an age of “Field of Dreams” – build it and they will come. Hundreds and thousands of companies market their products, with messages reaching the consumer in vast numbers. Knowing how to reach your target market with your message, what message you want to convey, and how to continually “speak” to that audience are the necessary tools that will separate the not-so successful businesses from the hugely successful businesses! 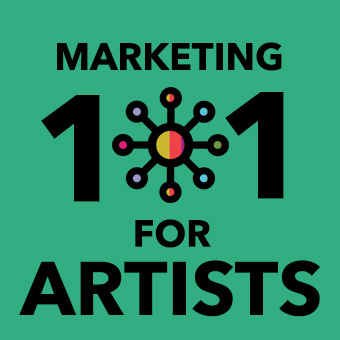 “Marketing 101 For Artists” has been designed and developed based on years of experience marketing art, brands and companies to help grow successful businesses – like yours! This online course will help you develop a strategic plan for marketing, and define the necessary dedication to the practice of marketing to your audience. This two day course will start with defining your brand and cover who to market to, what that message should be, when it is necessary to “speak” to your audience, where to engage them in conversation, and how to get it all done and track your successes. Marketing your business and your “products” is critical for success in today’s business market. The “MARKETING 101 FOR ARTISTS” online course is affordable, effective and highly informational! This online class is for . . . Artists, Illustrators and Photographers who . . .
Have an existing business, but do not have an established and defined “fan base” who can support the brand. Want to expand their reach to a wider consumer and manufacturer base of potential clients and customers. Are dabbling in the world of social media, but have no strategy on how to build a bigger following. Want tried and tested successful strategies to effectively market their businesses. What this course will do for you . . .
Give you the tools and strategies necessary to begin marketing your business immediately. Define the world of social media as it relates to your business, and what platforms will be best for you. Structures your marketing campaign in manageable portions that make marketing easy and fun to do. Enables you to begin sharing your successes with an audience base who wants to know! What is involved in the MARKETING 101 FOR ARTISTS online course? How The Sessions Work . . . The two day course will be broken up into two 1.5 hour sessions. The sessions will be limited in number to ensure we maximize the value for each participant. One and a half sessions will be content communication, and the remaining time will be reserved for “Q & A.” This course is supported by a robust workbook and the sessions will be conducted live by phone, so you can live anywhere in the world and be a part of MARKETING 101 FOR ARTISTS. All sessions are recorded and replays will be available for participants. You must know “who” you are and “who” you want to market to. Determine “where” you are today and “where” you want to be. Determine “how” to engage customers/fans, and with “what” content on “what” social media platforms. How to grow your fan base faster. What you can do to market yourself outside of social media. If you live outside the U.S., you can be a part of our MARKETING 101 FOR ARTISTS! All sessions are recorded so you don’t have to call in to listen live. You are welcome to email your questions ahead of time and we will include them in the Q&A session. You will be able to listen to the answers to your questions, and everyone’s questions/answers on the audio replay. You get 2 sessions of content and live Q & A, and our robust workbook, which will be your guide and reference for the course. The program is valued at $300.00, but is being offered to you for only $100.00. SPECIAL BONUS MATERIAL OFFERED IN THE FIRST RUN OF THIS CLASS! Each participant will receive a written review covering your existing website and social media platforms. We will be looking for brand impact and consistency across all platforms; engagement; whether your brand is coming across as authentic, relatable and relevant; and MOST IMPORTANTLY, we will be giving you a custom pointer/suggestion or two geared to improve your marketing footprint!